We all know what Hyundai and Kia meant when we were growing up. It meant a poor people’s car. A car no one with a decent amount of money wanted to buy unless you had no other option cause you had no other amount of money. Well, times have changed and the two Korean brands have made a name for themselves in the last decade by turning themselves upside down and turning their products really quality-conscious. The Hyundai Santa Fe is no exception and it’s no slouch either. It’s got a commanding presence just like it’s sister car, the Kia Sorento. I say sister car because they’re both built in the same exact factory in Georgia in the You Es of A.
Uhm… Uhm... Uhm… Ah! The badge. Oh, and look, the names too! But other than that, they are pretty much twins. And, just like the Sorento, it’s got optional 7 seats that fold down but if you ask me, the Sorento is better cause it lies flat whereas the Santa Fe’s has a bulge which might deter sole proprietorships or folks who like taking lots of cargo. What they’re transporting, though, I have no idea. A portable thermonuclear bomb perhaps? But then we go to comfort and it’s the same as the Sorento; hard-ish because it was designed not for off road use but sporty use. And it sits lower than the one it replaces so it’s pretty close to the ground; therefore, it’s lost it’s offroading capability. 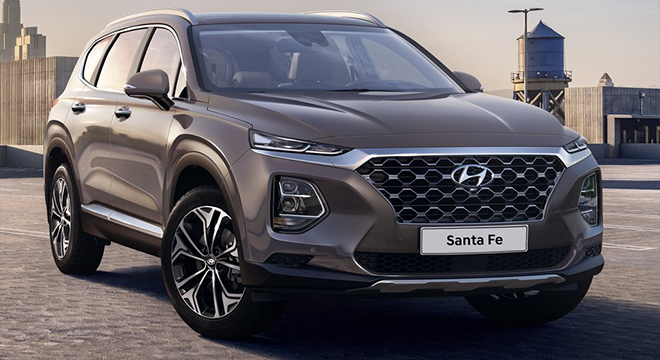 If you want to go off road, buy a used 1 st or 2 nd generation Santa Fe but if you want to go round bends with less body roll, go for this, the 3 rd generation. You could buy two versions, both are diesels and both are 2WD. Just remember to be ready to part with PHP 1,840,000 or PHP 2,338,000.